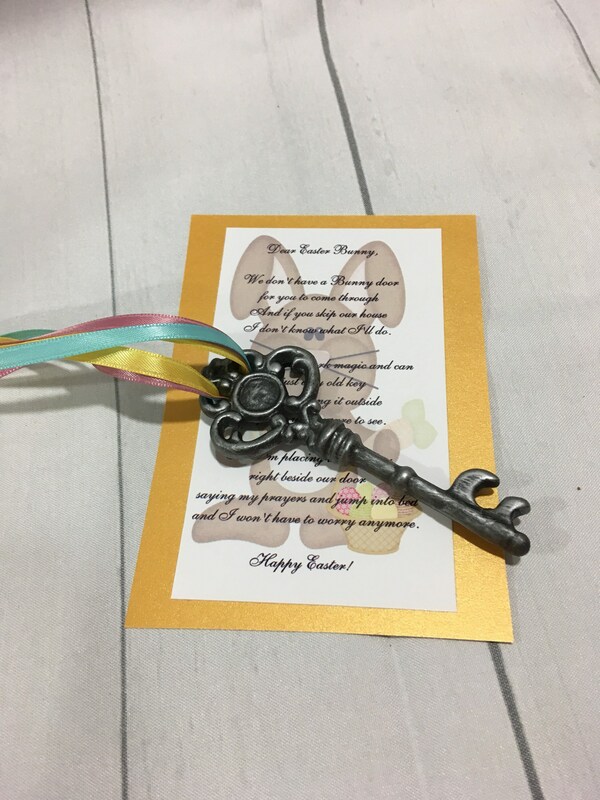 Easter Bunny key is magical! 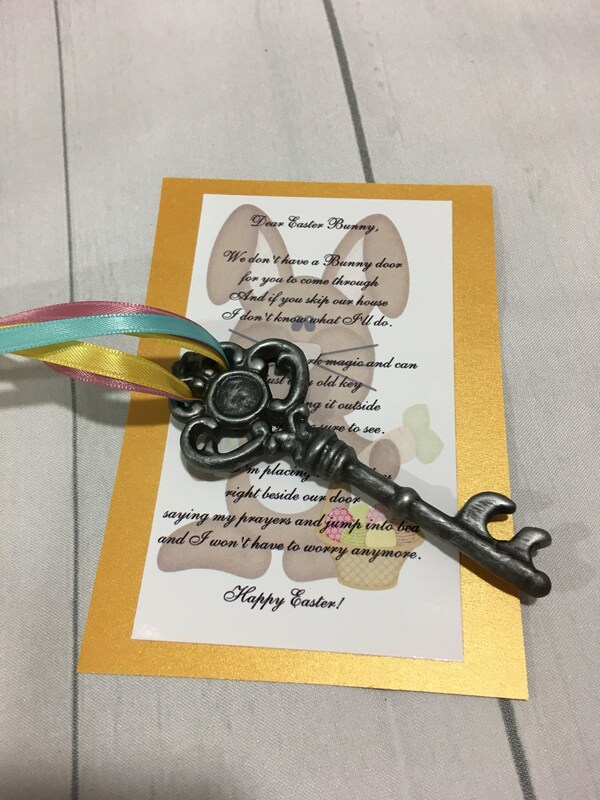 Make this Easter special with our special Easter bunny key. 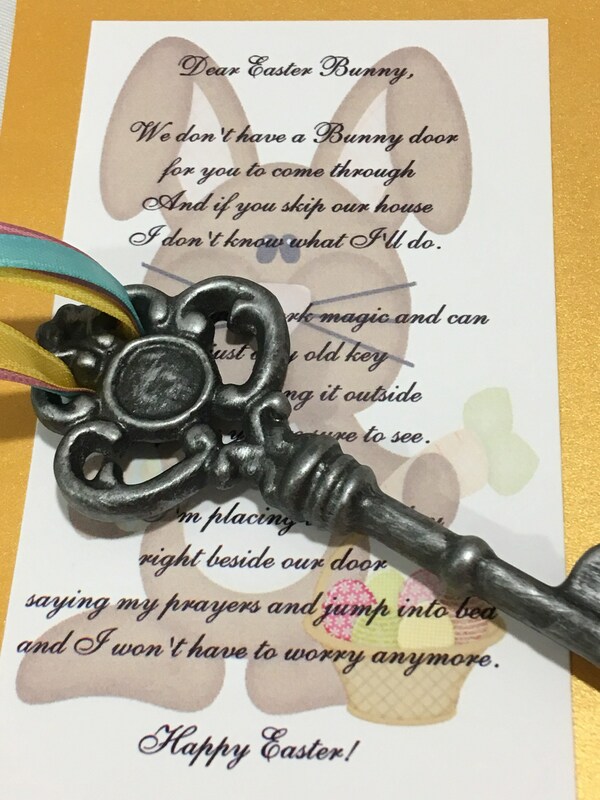 Your child will love the tradition of leaving the Easter bunny a key (this is great if you do this for Santa as well). I mean, how does a rabbit get in if you don't have a rabbit door? Background doesn't have to be pink. It could be light blue or light yellow. We have many colors! Now shipping overseas as well. Please email me so I can give you the shipping to your area. Thanks! PLEASE NOTE: I sold out of these a few days ago and got some more. 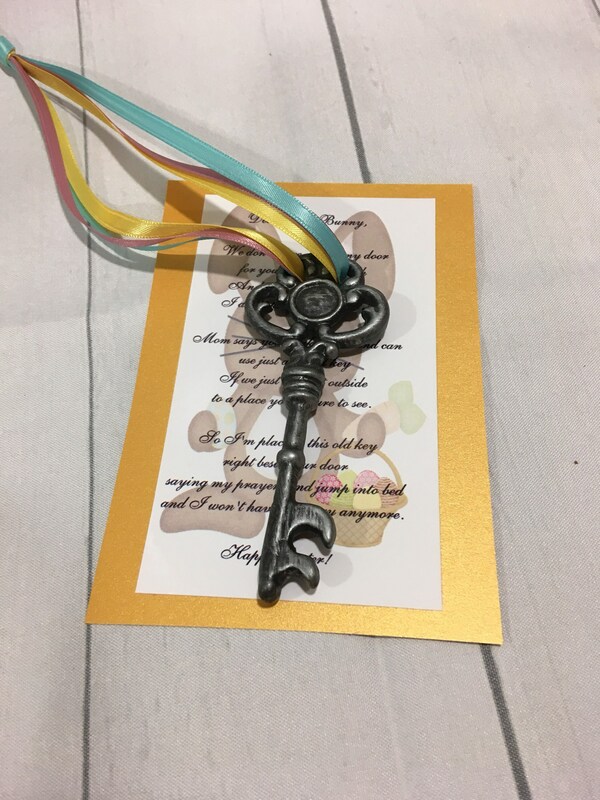 They new keys are slightly different from this picture. The same size, some are silver and some are this color. I am happy to send you a picture. But they are pretty much the same.